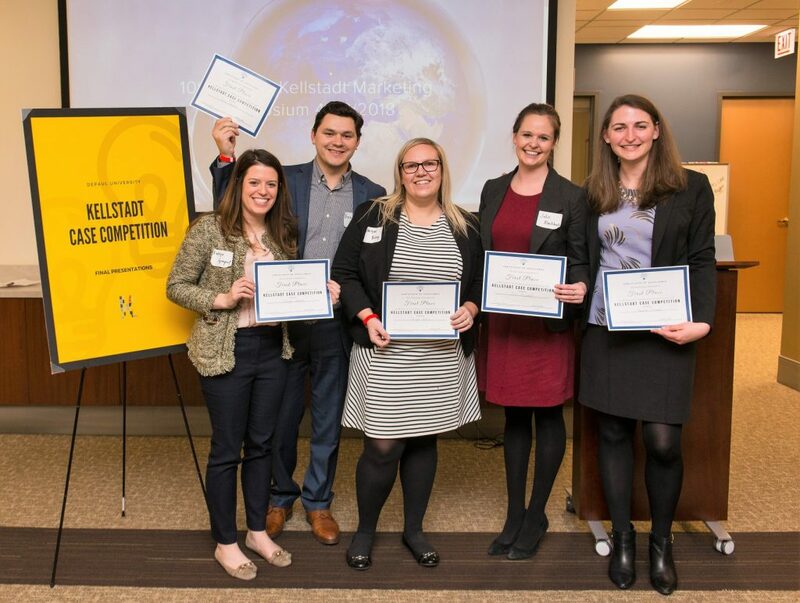 On March 2, nine teams of DePaul MBA and MS students participated in the inaugural Kellstadt Marketing Group Case Competition. 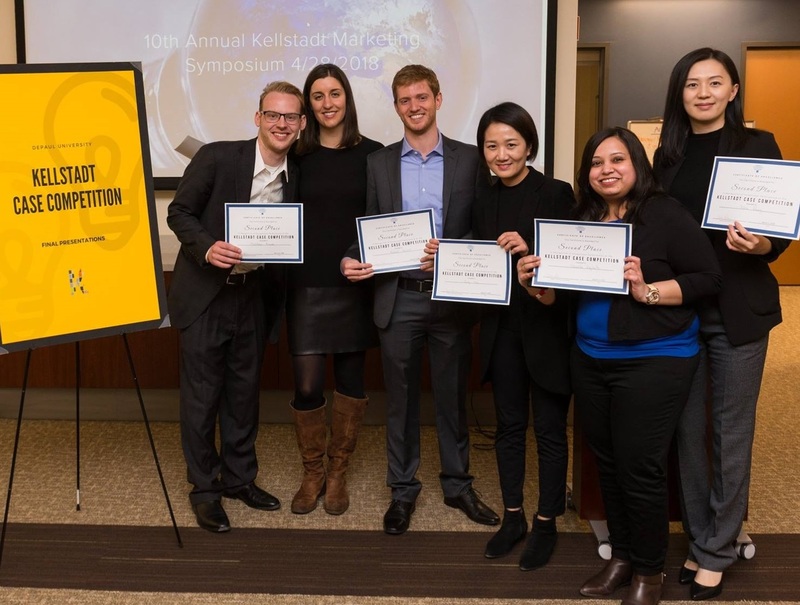 Working in small three- to five-person teams, the students developed a strategy and delivered a 20-minute pitch that outlined the recommended course of action for the company. The goal of the competition, originally conceived by Mako Kosugi (MS Marketing), was to give students real-world experience of business strategy development and proposal pitching to a panel of expert judges from Microsoft and DePaul. 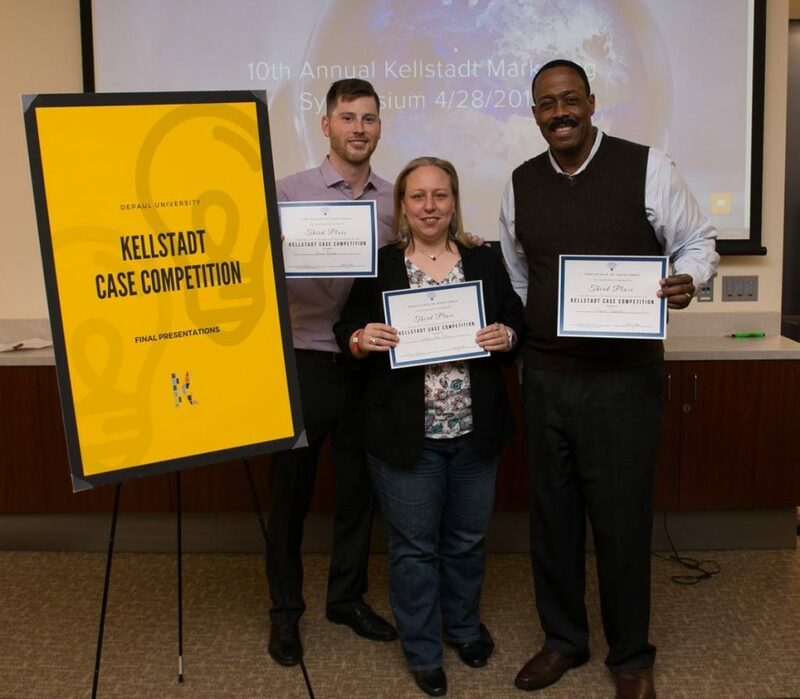 A trio of Microsoft executives served as judges for the event, including Joe Veverka, strategy, innovation and analytics program manager; Diran Hafiz, head of advertiser analytics, automotive & careers/EDU; and Teresa Swinton, strategic sales director. 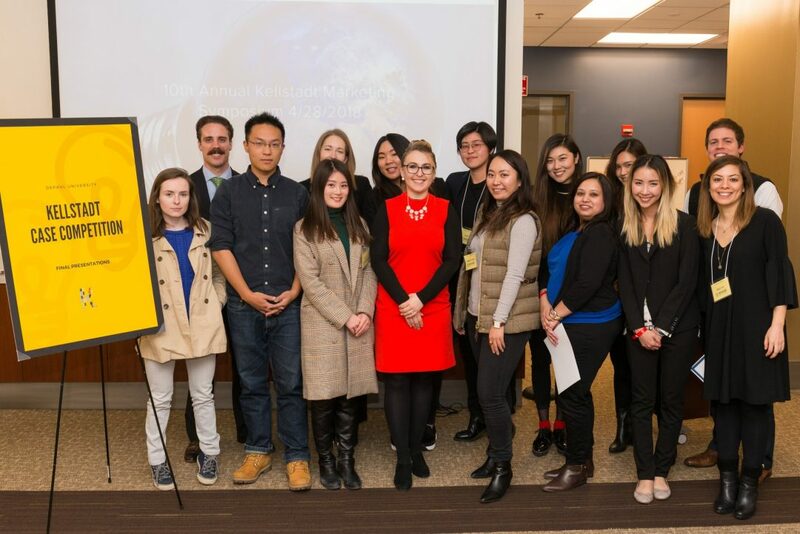 From DePaul, Mark Skroch, adjunct professor of marketing, and James Moore, director of online learning, also evaluated the presentations.